As a home projector, I have researched about the best corded drill and best cordless drill to choose the best one is suitable for home drilling requirements. Here is a comparison table of the corded drill and cordless drill which I made for you to easily decide the type drill. This comparison table based on their specifications and benefits. When looking at the comparison table of the corded drill and cordless drill first time, I had thought that the cordless drill might be good for me because I can carry it everywhere and the price between both of them are same. But I soon realized that it is not much convenient, I had to make sure its battery full-fill charged for its durability. Furthermore, the cordless drill’s is heavier than the corded drill because it has a charger pack at the bottom and you might meet issues with balance once running the drill. The reason why I chose the corded drill because it comes with a long strong power cord which allows me to stretch to my drilling location. The power is always supplied with an outlet power at home area. Thus, I have never worried about losing the power once drilling or fastening. 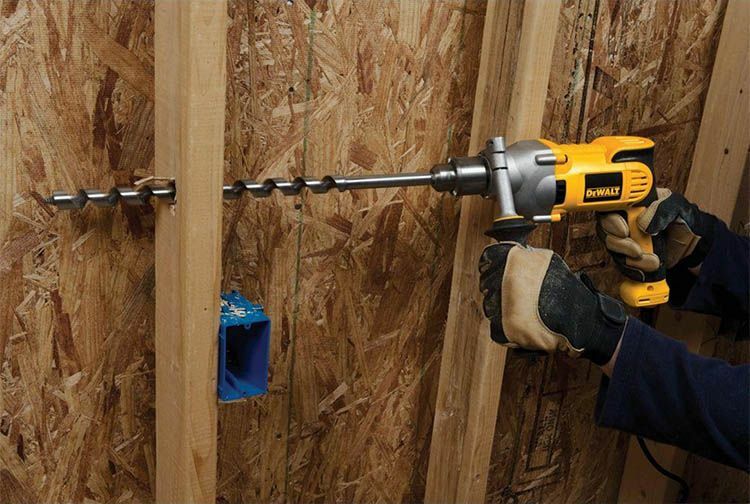 The corded drill is used not only for home projects but also for professional works at construction or workshops. As we know that DEWALT is a worldwide brand for supplying the hand tools and the power tools in woodworking, manufacturing industries and many constructions. Besides that, all DEWALT products in the market are always recommended quite well. That’s why you see the rate of all DEWALT tools on top rank reviews. Then, I check their features to make sure the tool are useful for me to do my very own home projects. I am sure that you may ask why I am seriously careful like this. Because I used to own a drill which delivers slow speed after 2-3 months using. And that’s why I hereby leave some reviews. For me, I need a tool to meet my demands of drilling and fastening requirements and Its features are good enough to drill and fasten even for home projects or constructions. 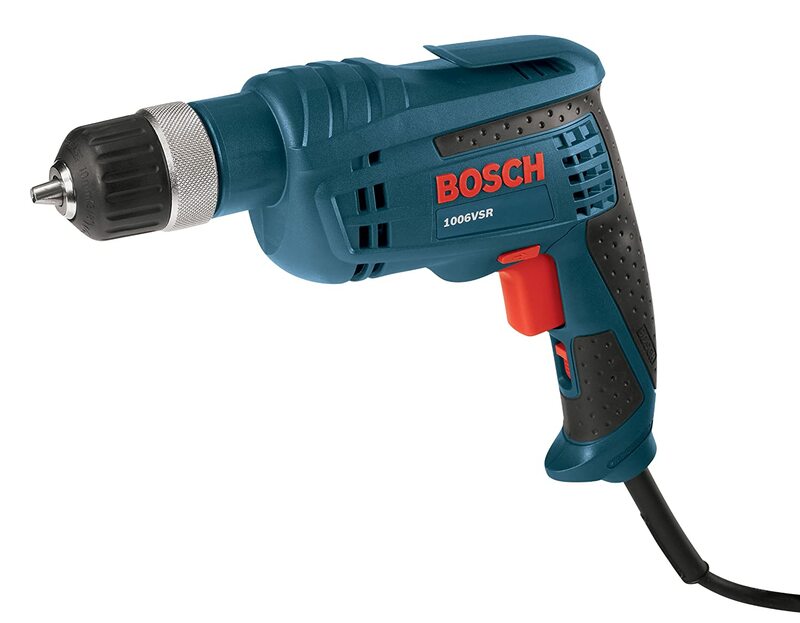 It is designed with Pistol grip 1/2 inch variable speed with reverse drill 10 Amp motor that delivers increased performance of 0-1200 RPM and allows drilling or driving screws in many materials even thick or hard such as masonry, metal and hard woods. The design of grip is highly appreciated because I can feel comfortable with soft grip even I don’t use gloves to operate the drill and if I want more support, I can get 360-degree side handle which gives me a great control. 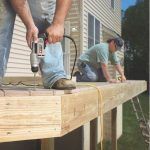 You might be surprised with its versatility and durability as I used to be when getting a DEWALT DWD210G 10-Amp 1/2-Inch Pistol-Grip Drill around your worksite. It can work for steel and wood materials. For working in wood, its capacity is around 1-1/2 inch but it also reaches to 2-9/16 inches once being used with a self-feed unit. For working in steel, you can use a half twist bit for the drilling job. In case, you use a hole saw, the drill allows you to creates holes reached to 3-5/8 inches for working in wood and 2 inches in steel. Besides that, Its Patented DEWALT built motor inside for generating 50% more power as well as increasing overload protection which allows us to use a long time. Great design with a soft handle grip, easy to operate the drill to avoid hurting users’ hands. 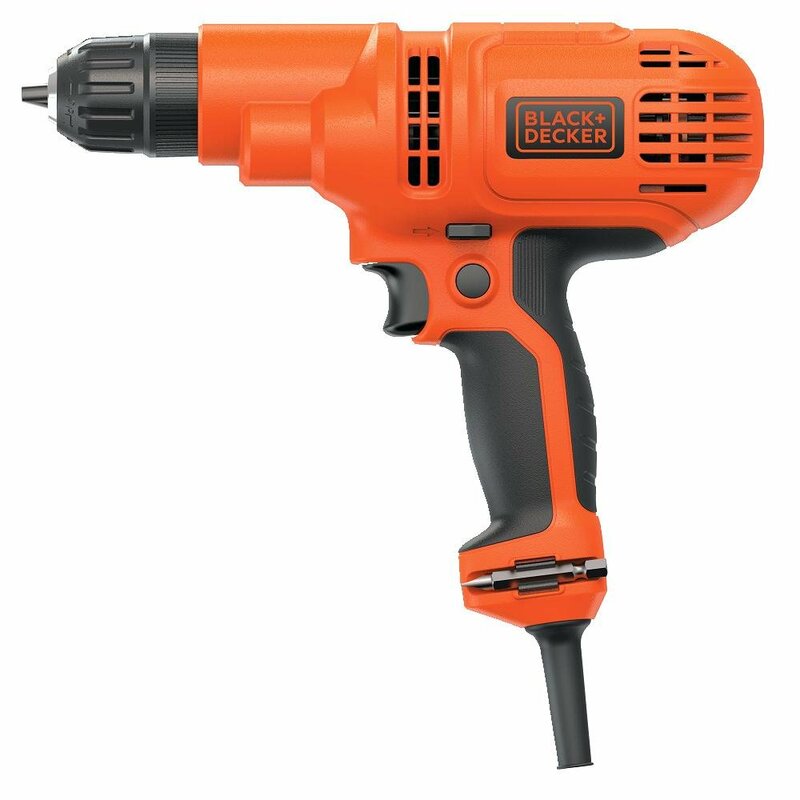 The second one I have tested is Black & Decker DR260C 5.2-Amp Drill/Driver, 3/8-Inch. I was attracted by the reasonable price of this product when choosing the drill at the store. Keyless chuck allows bit change quickly. Maybe you get a little bit problem like the bit spins out of chuck once drilling into the hard materials as concrete, wood. On-board bit storage which is used for quickly accessing to screw driving bit. That all you see how convenient the drill is! All basic features which you may need for a basic drilling are just inside a tool. But I only recommend this Black & Decker DR260C 5.2-Amp Drill/Driver for applying at home, not for any professional work; it can’t handle the duty work. You maybe get a little bit problem once drilling on the hard materials like concrete, wood because the bit spins out of keyless chuck. Although it has some limitations, the basic usage and low price can be accpetable. Besides that, women can also use this drill for their own draft projects – just for fun with their kids to build the small house doll or for their very small home projects such as creating holes for hanging pictures, driving screws or building the basic pet house and so on. Reasonable price – The price is only less $70 so you may consider this one when choosing the drill for your home improvement projects. Because of simple drill for basic drilling, it can be used in construction areas for simple drilling and tight spaces but not for a heavy-duty drilling. Perfect and comfortable tool – With the design for making users feel comfortable and convenient, the soft grip and over-sized 2-finger trigger fit the users’ hands and allow perfectly changing speed once drilling. Also, sturdy belt clip and the improved lock-on switch are supported to add more comfortable and prevent from lock-on suddenly. High rate - Its rate is also high up to 4.5/5 stars and 69/100%. This means that both users and seekers highly appreciate its features. Good performance - Almost users who chose this tool for their own projects around the house because it can meet their requirements and demands of doing tasks. The homeowners can work well with 3/8-inch keyless chuck for changing bits quickly and adjust the maximum speed up to 2600 RPM. All of them are pleased with the 6.3 Amp Motor and light weight of this Bosch 1006VSR 3/8-Inch Keyless Chuck Drill because its performance can help them to reach their purpose of using. However, they seem not to be interested in a metal chuck and some complaints about the speed that always jump into faster. By the way, most users are satisfied with their choice. Great price: First of all, people pay attention to this product for its great price. It is reasonable and economical for people who want to own the drill with many benefits for not only their home projects but also building constructions. It can be used for metal and wood materials, pilot hole drilling in deck buildings and frame constructions. The price which is very worthy even not included the shipping cost, isn’t over $50. Good features: 3/8- inch keyless chuck is one of the most features that people leave their feedbacks. Someone leaves positive comments like: it is useful for changing bits quickly, not using any hand tools. Also, there are some negatives comments like: keyless chuck can’t hold the bit tight so it easy to slip out once running the drill. Convenient tool: However, the users are still pleased with their purchase because of another feature which this product brings to them: The rotation direaction changing button is in front of the trigger which is convenient for us to use and the lock-on button helps us to control the drill well. Plenty of power: This design of the product is for the duty-professional work with a variable-speed trigger from 0-2500RPM and 6.0 Amp motor for working well on metals, woods or thick hard materials. It is really a power tool that we might need for the best result of drilling and driving. But it may make you feel a little bit uncomfortable because of its noise during the working time. Women can also use it even its weight is heavy. 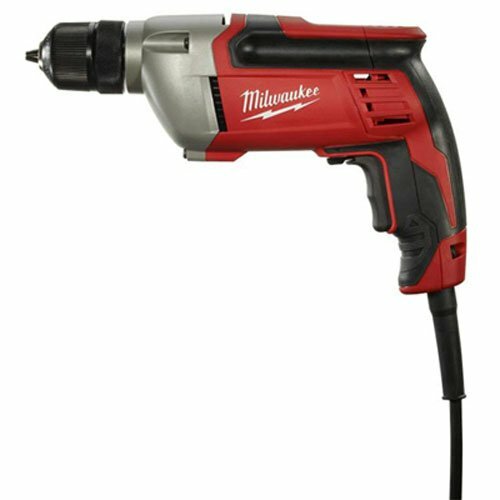 Even though this Milwaukee 0240-20 3/8-Inch Drill is made from China manufacturer, it is the best choice for users who needs the drill with functions of repairing or doing construction tasks. That’s why its rate is over 50%, reaches 57/100% with great feedbacks and recommendations from users. You can see that it is very popular with both users and viewers. Great performance: The motor of this model is 8.0 Amp, works well with a 120 A/C and the 0-2.800 RPM speed torque is perfect for great performance on metal and wood materials. I suggest using this product for heavy-duty work, especially for piloting holes. But you may have a little difficulty to control the speed even the speed torque has 0-2.800 RPM, some users say that the variable speed has no gradual speed adjustment so they have to hold chuck to reduce the speed. That’s why it has negative feedback in imbalance. Good design: When I had tested this model, I was surprised with its comfortable and convenient design. 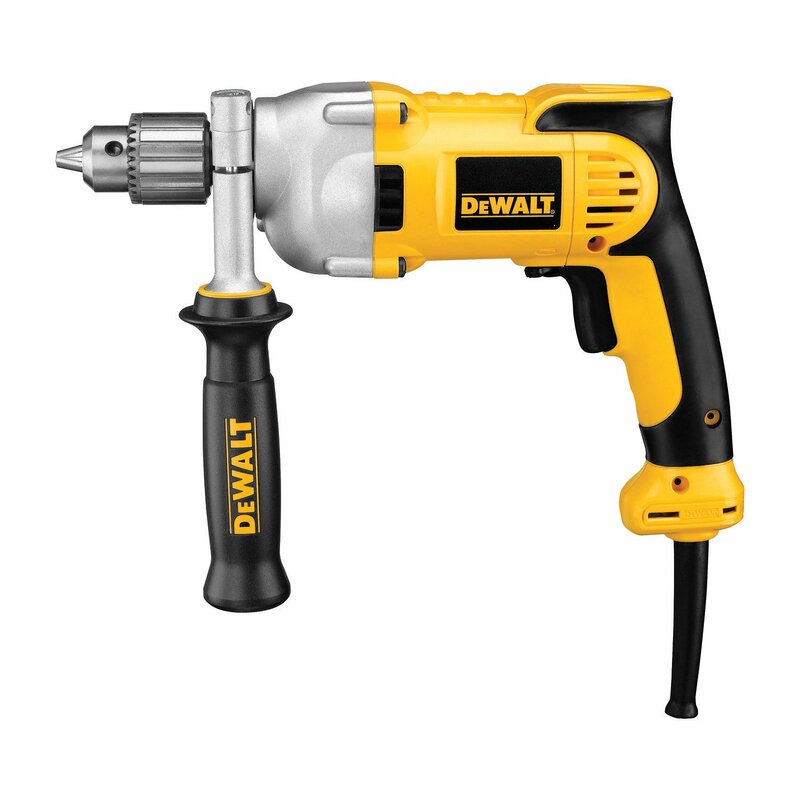 The soft-grip handle and two-finger trigger designs are familiar with the DEWALT DWD210G 10-Amp 1/2-Inch Pistol-Grip Drill and Bosch 1006VSR 3/8-Inch Key-less Chuck Drill that I mentioned at the first and third rank of my top 6 rank products pick-up table. It means that you don’t need any gloves once using this product. 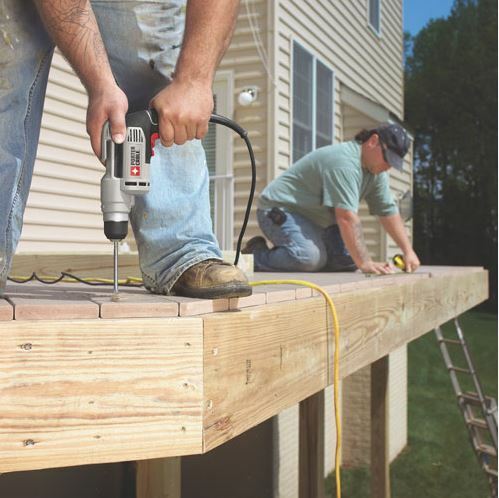 Good features: Like other corded drills in this pick-up list, Milwaukee 0240-20 3/8-Inch Drill has a keyless chuck which helps us not to use the hand tool for change bits. The keyless chuck in the drill is a good advantage but it is also considered a weakness that can bring users some inconveniences. However, these inconveniences are futile, the keyless chuck has strong enough to hold and prevent the bit from slipping out easily. Furthermore, the metal gear supports in high torque applications. I put this Hitachi Koki speed drill D13VF at the end of my top 6 rank pick-up table because it has viewers and rates less than other drills. But it doesn’t mean that this model is not popular with users and viewers. The rate of this model is 50/100%, this rank is average because the price is higher than other drills. 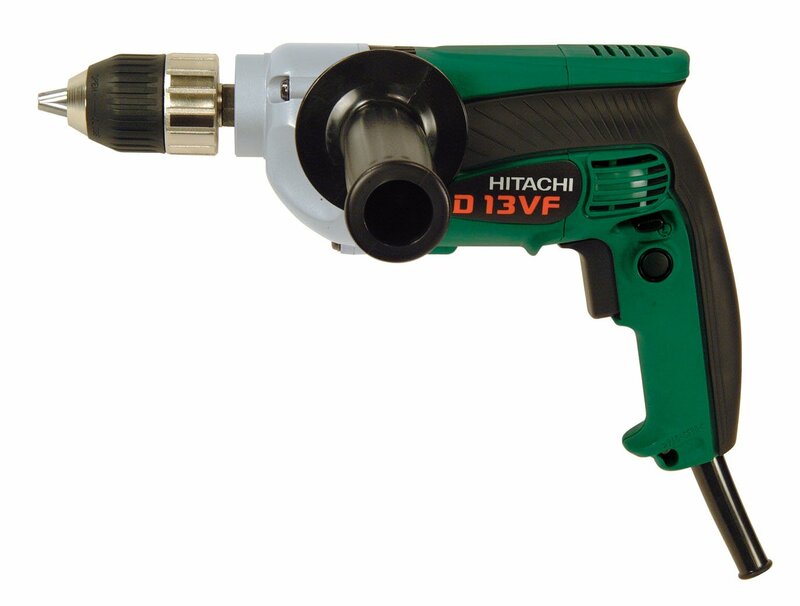 Power: The motor of Hitachi Koki speed drill D13VF is 9.0 Amps so it has strong enough to be in the list power tool. This model’s motor is behind the DEWALT DWD210G 10-Amp 1/2-Inch Pistol-Grip Drill but more powerful than the others. It can be used for handling on wood and steel. Good design: It has an advantage in gear design with the double reduction that supports more torque for efficient operation with a certain amperage. The gear is made of metal so we don’t worry about the drill will be cracked once applying onto a hard surface like concrete or wood. The most design which I like best from this model is integrated belt hook, you can hang the drill temporarily for awhile as you want to do another task in same time. 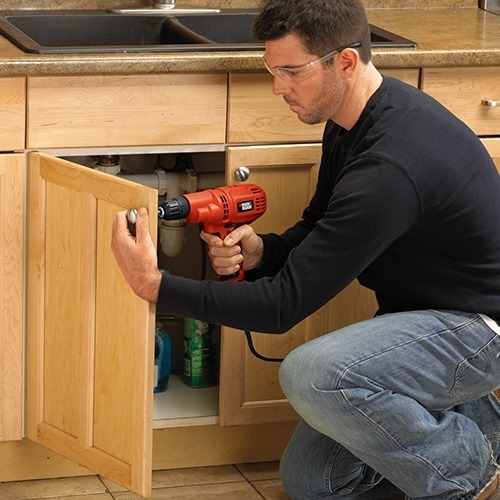 Your drill will be prevented from dropping or damaging. Convenience: The Convenient drill that I have ever tested because of the side handle is very comfortable to keep the drill well-balanced and always under control. And the variable speed reverses feature that allows you to control your drill in case of meeting some pressure during the time running. Features – All drills have basic features that allow taking most tasks to meet our requirements of drilling and fastening. 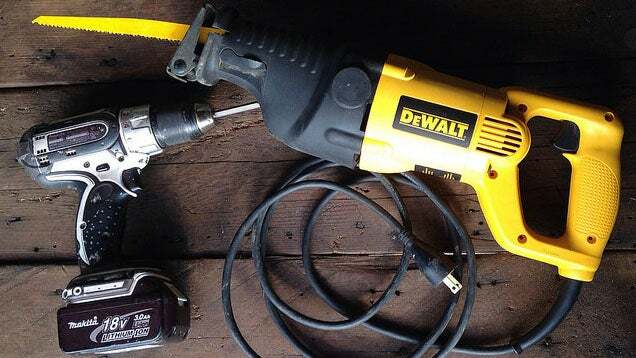 However, up to your specific using purpose, you may need a drill to handle easier and faster. A basic feature is available in every drill to meet your basic and simple work. The Black & Decker DR260C 5.2-Amp Drill/Driver, 3/8-Inch and Bosch 1006VSR 3/8-Inch Keyless Chuck Drill can be good examples for you to consider. Rotational speed is the best choice for you to adjust the speed of drilling. High-speed feature is suitable for you to drill on the soft materials. Slow speed feature is used to meet the requirement of drilling on the hard materials. The DEWALT DWD210G 10-Amp 1/2-Inch Pistol-Grip Drill, PORTER-CABLE PC600D 6 Amp 3/8-Inch Variable Speed Drill, Milwaukee 0240-20 3/8-Inch Drill , and Hitachi Koki speed drill D13VF are perfect tools which are nearby to your idea corded drill for make purchasing decision. Hammer function which is the perfectly used for drilling into concrete, bricks, stone and so on. If you need a drill for appy to these materials, you can choose the drill with hammer function based on BPM. This hammer function only works well with all kinds of hard materials but not for the metal or wood material forms. 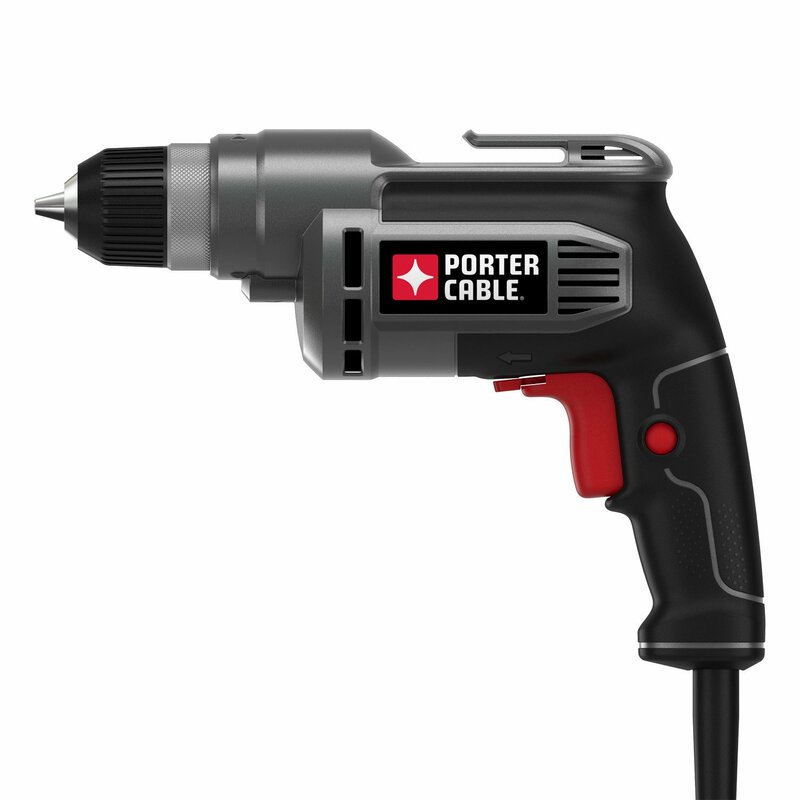 Power: The bigger motor, the more powerful the corded drill has. Up to your purpose of using, you can choose the power motor for better drilling. There are the variety of ranges of Amps, around 5-10 amps so you have many options. Chuck types - Chucks of corded drills are known in half, quarter or three-eight inches size. People always use the quarter chuck size for drilling small holes. It also comes with two types of chucks: Keyless chuck and keyed chuck. Keyless chuck: The bit is made changed easily by the keyless chucks. Keyed chuck: requires a key and lock bits into position. Brands: Every product comes from the certain manufacturer to make sure the quality and protect the users. Thus, the brand is very important for us to choose a product. And the corded drill is not exceptional. Choosing the corded drills from the reputable brands which mean that you are being protected. You will have the best product and benefits come with it such as warranty, exchangeable policy or promotion. Price: People have a tendency to look at the price before purchasing things before purchasing. If the product can meet their demand with the high cost, they may look for the same product with lower cost. Thus, I think the price should be considered here. Where to buy: you can buy all kinds of the corded drill at the construction stores or selling&purchasing online websites. Don’t forget to access to the reputable websites and stores in the market to make sure that you are always protected once purchasing things. Among the variety kinds of the corded drills in the market, it is hard for us to choose the right one which is suitable to apply to our houses or worksites. With the pick-up list of the corded drills above, we hope you can get some ideas to decide your purchasing and expect them to meet your demands and brings you a good mood once working with every moment. To be honest, I really enjoyed reading your article. I was looking for drill once then I also start a similar niche site. Actually I prefer corded drill than cordless one. I am sure you are also like corded drill like me.